Applied Suicide Intervention Skills Training (ASIST) is a two-day intensive, interactive and practice-dominated course designed to help caregivers recognize and review risk, and intervene to prevent the immediate risk of suicide. 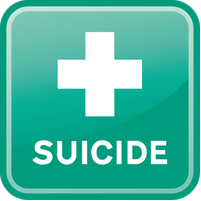 It is by far the most widely used, acclaimed and researched suicide intervention training workshop in the world. 10010 105 Street NW, Edmonton. This half day follow-up to the 2 day ASIST workshop offers you the opportunity to review the intervention process and discuss with peers challenges and successes in implementing the ASIST model. You must have previously attended the 2 day ASIST workshop within the last 3 years. Attending the TuneUp will renew your ASIST Certification for another 2 years.